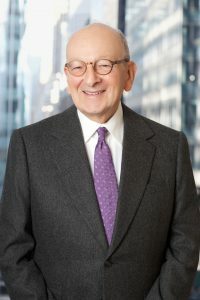 Offit Kurman’s streak of mergers and acquisitions (M&A) activity continued last month with two transactions closed on behalf of clients in New York. On March 18, 2019, Rocket Charters acquired DiLernia Marine Services. Attorney Stuart B. Newman represented the seller throughout the transaction. For decades, DiLernia Marine Services, Inc. has provided recreational charter fishing in the New York Harbor. Prior to its sale to Rocket Charters, the company was the only business of its kind operating from, and in the waters surrounding, Manhattan. Rocket Charters seeks to provide “New York Harbor’s finest fishing experience” with the ROCKET, a custom-built vessel specially designed for recreational charter fishing in the Harbor. The company’s captains include Paul Risi and Anthony DiLernia—the former owner of DiLernia Marine Services, and a marine fishing expert with four decades of experience. The Rocket Charters transaction is only one in numerous M&A deals that the attorneys of Offit Kurmans have helped close for clients throughout the Mid-Atlantic region over the past 18 months. To learn more about current opportunities in M&A, see a recent recap of deals closed, and contact an Offit Kurman M&A attorney, visit offitkurman.com.